Hello everyone! Wanted to begin a thread detailing my journey in my studies and processes towards obtaining my first Cisco certification. I've seen similar posts as this from prominent members of this community and I have found them to be inspiring and motivational. My hope is that by continuing posting regularly it'll help me stay on track. My goal is to obtain my CCENT before the end of the year and my full CCNA certification sometime early next year. For those experienced with the exam or already in the process of obtaining this cert I welcome any and all advises, study methods, and other approaches. I begin my studies September 1st and I'd like to break them up into phases. Phase 2- Development I'll go back to the areas of major focus and develop unique study methods for each one. I'll post on the areas I'd like to focus on and how I'll approach them and assess myself. Phase 3 - Assessment This is where I'll really be assessing my knowledge and create mock exam scenarios and labbing. Phase 4 - Reinforcement This portion is where I'd like to dedicate a few weeks by continuing my assessments of Phase 3 and reinforcing my acknowledging by watching training videos. I'd like to place this phase near my exam date so as to have this information fresh in my mind. Phase 5 - Examination The week of the exam I'll be keeping my studies light by re-watching videos or labbing in areas I feel the weakest. I'm aiming for a mid-morning exam so the day before the exam I'm just going to relax. I purchased my physical lab on eBay and based on my findings for physical labs this is apparently a decent setup. Some of the routers and switches come with different IOS verions installed; 12.1, 12.4, and 15.1. Will having these different versions matter much when attempting to have the devices talk to each other and will it also matter for the exam? ​For me personally, this will be my first real IT cert. I know the way you're tested in this exam is different from CompTIA where you can go back and look at previous questions. I only have one shot at the questions so this adds another layer of difficulty I've yet to experience. I'm hoping with the way I laid out my preparation it will be enough for me to pass. This will also be my first step into the networking world I've desired to be a part of since beginning my IT career. The company I work for has a real need for network analysts at the moment. My old boss from my service desk days is now the manager of the networking department and he'd like me to be a part of his team but I'll need to get this cert first. Good luck! I start my journey on 01 Sep 18, so I am very interested in your progress. Amazing lab! All the best! Good Luck. I usually follow similar patterns. I prefer to start with a video series and watch it start to finish with no notes. Sometimes I just zone out and don't retain a thing but it exposes me to everything I will be studying. I find when I watch the videos first I can read a lot faster because I already have an idea of how the topics go together. I'm not a fan of last minute cramming so I never study the day before the exam. I give my mind a break for the day. Awesome man I’m on the same path started immediately in late June after passing sec+. Windell Odom Cisco CCENT currently at chapter 6 kinda get bored quickly in this book been about a month on a half since I read it mainly read Lammle and do labs. I was thinking going the one path way CCNAX but I figure I go the two path way you get 30 CEU per exam if passed towards Comptia certs which means if I pass CCENT and CCNA within 3 years it will push my CompTIA certs out 3 yrs from date of passing CCNA makes more sense to me IMO. Good luck to you!!! I have the same study method I rarely take notes sometimes I start off taking notes the I just get lazy and try to retain it to memory. I prefer to watch videos over reading so I get a clear understanding of what everything is, sometimes you have to read also to better understand wth they’re even talking about. 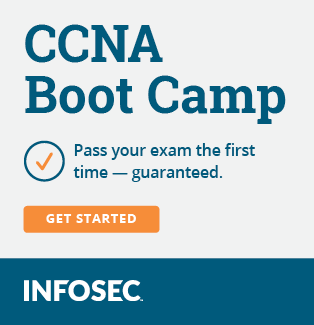 Best of luck on your CCNA journey! Still remember the day I passed. Thanks everyone! Will try to post something at the very minimum once per week but may do two or three depending on what I'm working on. This will be exciting as I've never documented my progress for others to view but I figure it'll help me stay motivated by sharing my experiences and challenges and hopefully give others a more in-depth look at a study process for this exam. That is not a bad approach. I could take that into consideration as well. I do have some Udemy course videos I can also view. This looks like an excellent purchase based on the reviews of 256 students enrolled in his Udemy course. Being that you have Tod Lammle's books, he has Packet Tracer labs to offer. Check out this thread, look at post #7. Setup my physical lab. It'll probably be a while before I officially start lab but seeing it setup motivates me to want to reach that point quickly. I am excited to watch your progress on your journey!! Hi, I started skimming in Todd Lammle book. Planning to take on November - December. If you end up using this please give us a quick review of the labs. I am going to renew my CCNA next year and I want to find a few packet tracer or GNS 3 labs to use as a refresher. I took the Netacad course in 2013 and I really like packet tracer for getting started. Being able to watch the packets move and see where they failed made it a lot easier for me to visualize the traffic flow. By the end of my studies I was using GNS3 for the more advanced labs. Don't skip the real equipment because this will teach you to navigate the the network better. Sometimes you will have to move console cables or log into different devices. When everything is visualized you take for granted that the console connection is always just a click away. I set most of my equipment up in my basement and would remote into it as much as possible. Needless to say I got my exercise running up and down the stairs trying to troubleshoot my labs. I'll definitely provide feedback on my experience with the labs. Finished the first chapter of the Odom book which talks about TCP/IP networking. So far so good. Familiar with the material so I just skimmed the chapter and wrote down some key topics and terms I'd like to include in the flash cards I'll be building. Would like to attempt to finish the first major part of the book, Networking Fundamentals, by the end of this week. Go through a good chunk of Chris Bryant's video course on Udemy. These videos aren't that long which are perfect to watch a bit as I get ready for work, during my lunch break, and last 30 minutes of work. This looks like the format I’ll be doing for a while since it looks to be mostly theory stuff. Will update weekly with a progress report until things start getting a bit more exciting. When do you plan on taking the exam? By the end of 2018? Yes. I should have my reading done by early next month (hopefully sooner) and then I'll jump onto the next phase of my plan. My plan is to do one phase per month with the last two phase done on the last month, December. Nice lab. Where did you get the rack, was it part of the kit? Some ebay labs have the rack included. Here is a link if you just need the rack. Windows Lab: Dual CPU Hyper-V server with 12 Cores/24 Threads, 96GB RAM and 2TB HDD. CANCER SURVIVOR! In Remission Since September 2016! 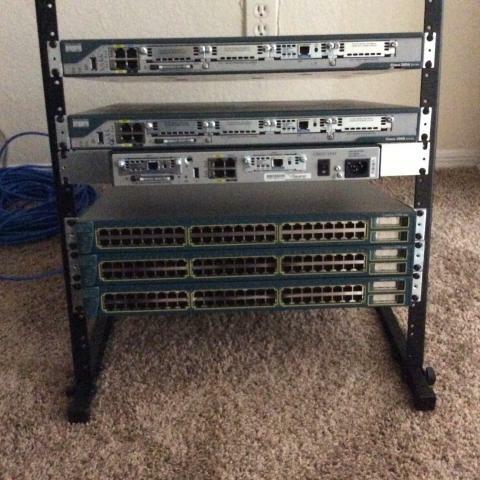 As ssnyderu2 mentioned a lot of the labs sold can come with the rack. However, can be purchased separately. The one I have came with the lab and it's just a simple audio equipment rack. I can see as I progress in my Cisco studies that expansion may be required, so I see myself investing in a tall rack. Side note: I will hopefully have an official update either today or tomorrow regarding my progress. The little audio racks are great. You can put 4-5 units on them and still move it around pretty easy. Once I added rack mount servers I purchased a StarTech.com 25U Adjustable Depth Open Frame 4 Post Server Rack. At bit overkill for CCNA but I am setting up a generic IT lab. Thanks Spiegal and ssnyderu2. I am ordering the rack tomorrow and the lab this weekend. So I'm essentially done with the Part 1 of the book, only 8 more to go. It has been a bit of a slow start with family and work stuff happening. I see that I can only dedicate about 2 hours or so of reading per weekday. I can do maybe about 4 hours to 6 hours on the weekend. I do feel like I'm going to slow. The way I'm handling my readings is I take the "Did I Know This" quiz before my reading to see which area I need to focus on the most. While I read I take light notes, mostly terms and key point areas and anything else I'm not super familiar with. Then I re-take the quiz to make sure I understood the material and make any additional notes I need to jot down before I move on to the next chapter. Do you guys think this is OK method or is there perhaps a different more efficient way of reading the material where I do the reading in a shorter time span while not sacrificing absorption of knowledge? Not trying to take any shortcuts, just trying to maximize the best use of my time. About to finish the Part II of the book. Learning about basic switch configuration and management. I know I planned on just reading for the first phase of my plan but I feel like I may need to slow down a bit and do some minor labbing so that I can understand the CLI concepts better while it's fresh in my memory. Wanted to finish the reading within the month but life happens. Took a term break from school so I'm not under so much pressure. My goal is to have the reading down and be deep into labbing and running exam drills by November when I start school again so that I can hit the floor running and get my CCENT by end of November/early December and pass my first Cisco class. Your progress is going great. Consistency is more important then anything. Try to do a little bit every day. 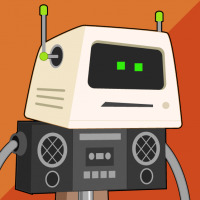 Definitely check out www.subnetting.net for practice with subnetting. Just following there little practice questions for 5 minutes a day works wonders for your subnetting speed. Come exam time the subnetting ends up being the easiest questions as long as you can do them quickly. I'm nearly half way through the book. Things have slowed down even further a bit but it has been an educational experience. Running into a lot of topics I'm familiar with but not fluent, such as trunking and VLANS. Getting ready to head into IPv4 Addressing and Subnetting which is where I'll be pausing a bit on reading. Thanks Jon_Cisco for the site recommendation to practice my subnetting. Wanted to ask, to anyone, what has been a good resource to learn and master subnetting? I've attempted to learn subnetting in the past but haven't really found a method that really stuck with me. Currently, I half understand to topic. Honestly looking at subnetting seems terrifying when you first start out but its mostly memorization of a few numbers. What I recommend is learning numbers so you can quickly recognize your block size. If you can quickly identify your block size you will figure out the subnet and broadcast addresses pretty quickly. Dude, thanks!!!! That thread just blew my mind. With practice I'll definitely get the hang of it with the method presented.